On Saturday, I went to an event I never pictured myself attending. 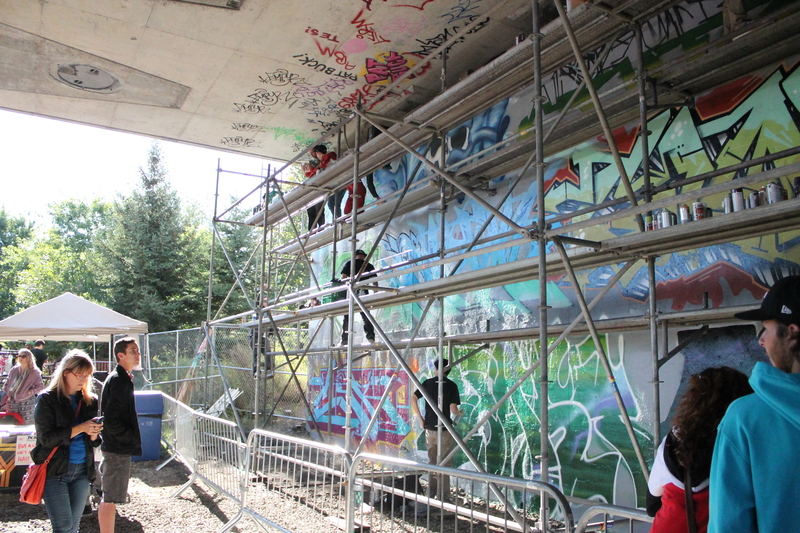 It’s called house of paint and it’s a world that’s so far removed from my world of yoga, books and elementary school! 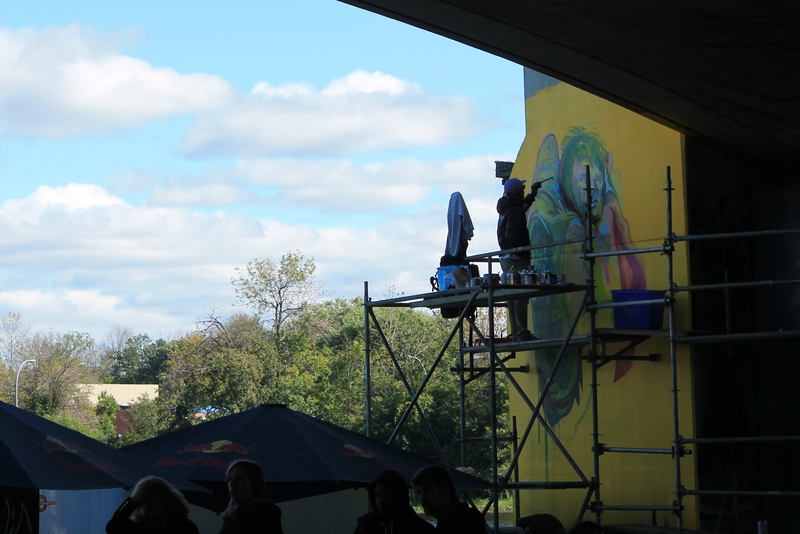 There were graffiti artists spary painting the walls under a city bridge, b-boy and b-girl battles, dj’s and so much amazing art! 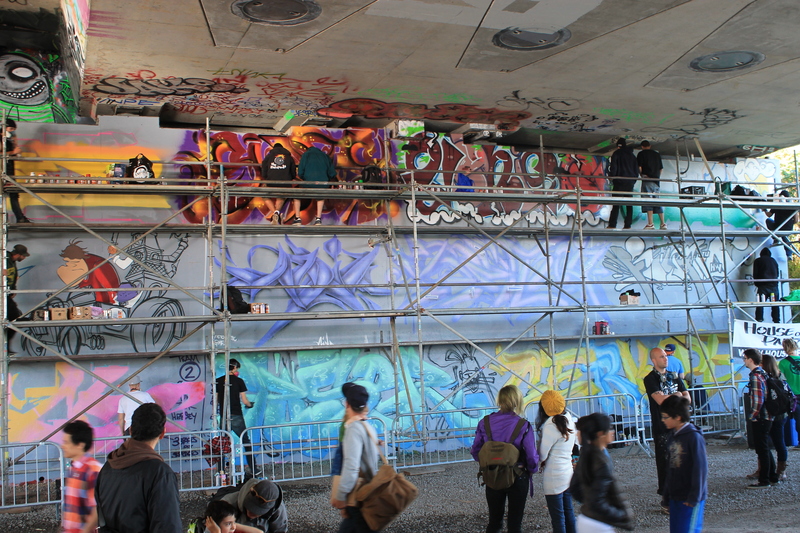 After a while being under the bridge, my eyes started to water from the paint fumes, but watching the dance battles was so amazing, it was worth it! These guys had a great seat for the battle that was about to begin! 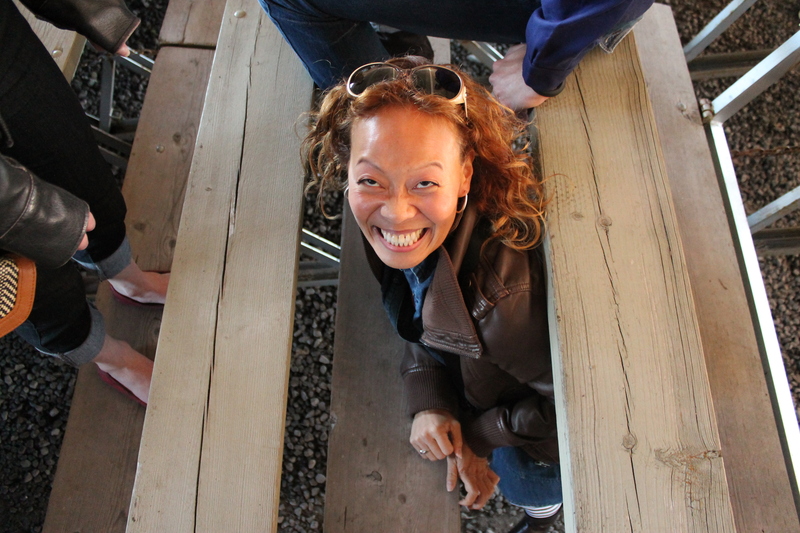 My friend Ichih dropped her earring under the bleachers and it felt like a perfect photo op! There was art everywhere. I loved the shoes. 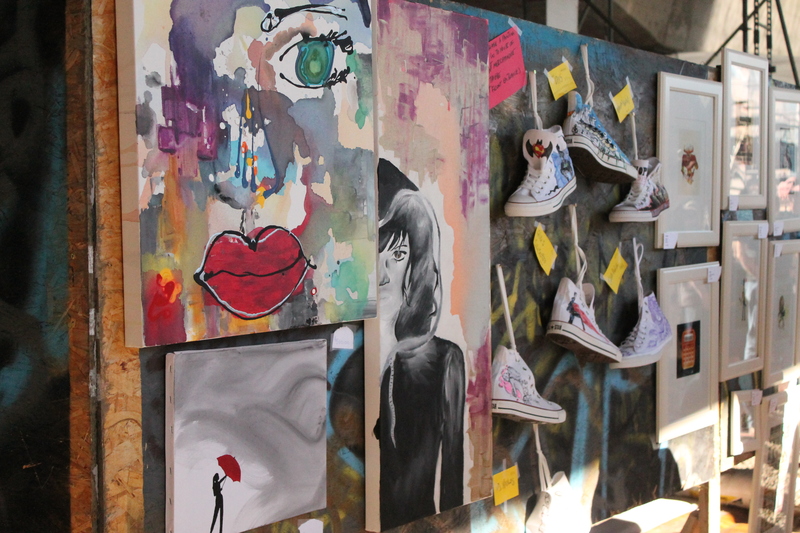 I’m pretty sure you could buy them to wear, they weren’t for sale as wall art, but they looked really cool like that! Such a great day! Can’t believe this event has been going on for ten years and I’ve never been there before! I like to try new things. If you’ve read any of my posts before, you know this. 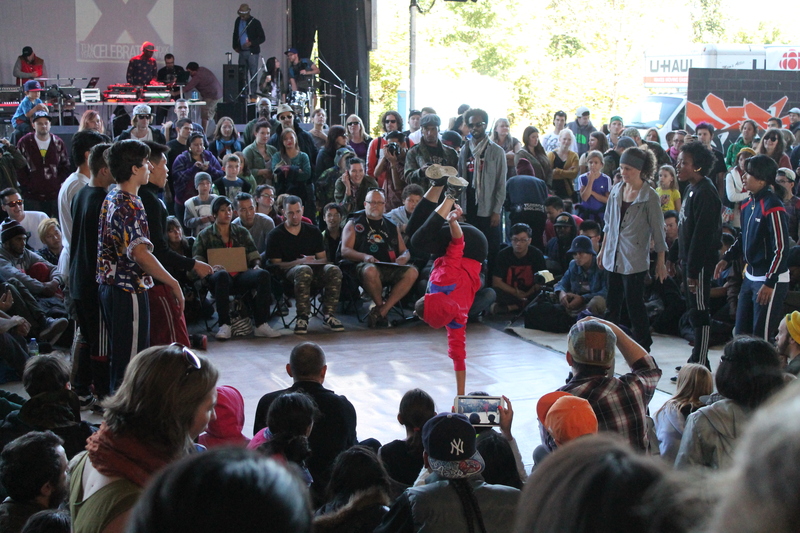 Last week, my friend Ichih asked me if I wanted to go to a hip-hop dance class with her. I couldn’t, because I was busy being a Rocky Horror first-timer, but last night, I was free! I’ve done hip-hop before, although badly, so I thought I knew what to expect. Well, I was wrong. Not only was it not actually hip-hop, it was some kind of awesome hip-hop-and-something-else hybrid. I’m told this is called house. Wait a minute, I don’t like house. I’m sure I don’t. I think I don’t? Talk about trying something new. When we got to the studio, there was a dance hall class going on. Right away, I was excited to dance. What we did was completely different, but it kind of set the mood. It was a small, one-room studio and everyone seemed to know each other. But not in a we’re cool ’cause we all know each other and you’re the new girl so we won’t talk to you high school way. Not, it felt like a house party. At first, we started sliding around from side to side. We rubbed our shoes in baby powder, which made me feel like Nadia Comaneci or something. I’ve always wanted to do that and then slap my hands together and have the white powder go everywhere. I couldn’t really justify putting my hands in the powder, however, so I just pretended in my head. Sarah and Rise, our instructors, told us the sliding motion was kind of like skating. I’m pretty sure they meant roller skating, but I decided they meant ice skating, because I’m good at that. I convinced myself would be good at this house stuff too. About 15 minutes in, I realized it didn’t matter at all how good anyone was, it was just a bunch of people dancing. It was like being in a club, but not having to worry about not being dressed right. Before the class, Ichih told me to wear baggy clothes. I realized I don’t have any. None that I can wear in public, that is. So I went with my yoga stuff. When in doubt, go with the lulu. We slid around from side to side for a while, then slid our feet to the front, then up, one at a time. We had to crunch down while bringing the foot up. Yeah, that wasn’t working for me. I looked like a giraffe getting a drink of water. Awkward. I had an awesome time and I made some new friends, so I’d say the evening was a success! Although this is not a post about yoga, I had to add this next part. 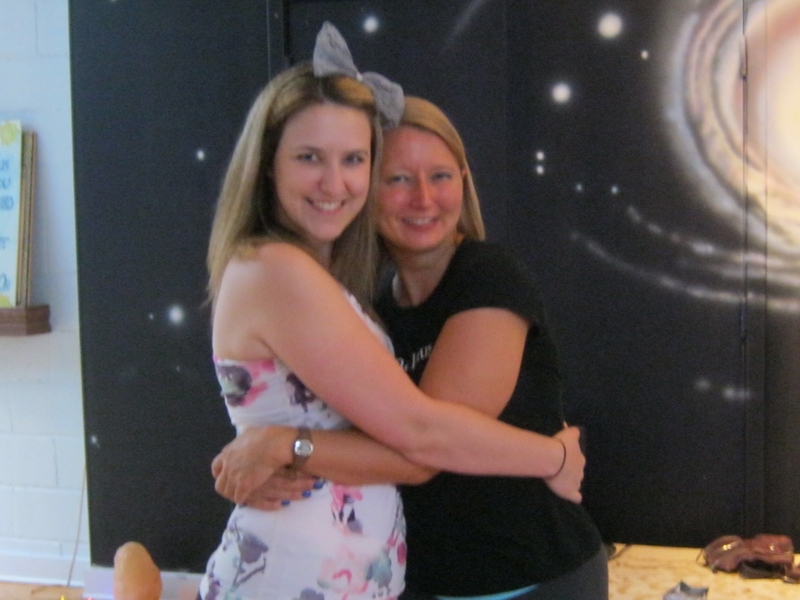 I went to an amazing power class with Jen at Pure this morning. I’ve been doing mostly yin lately, so it felt wonderful to push myself and try to do things I normally can’t do. Well. I did side crow. Side crow! How awesome is that? I had to share! Saturday morning, I rolled out of bed at 9:30 and debated whether or not I wanted to go to yoga. 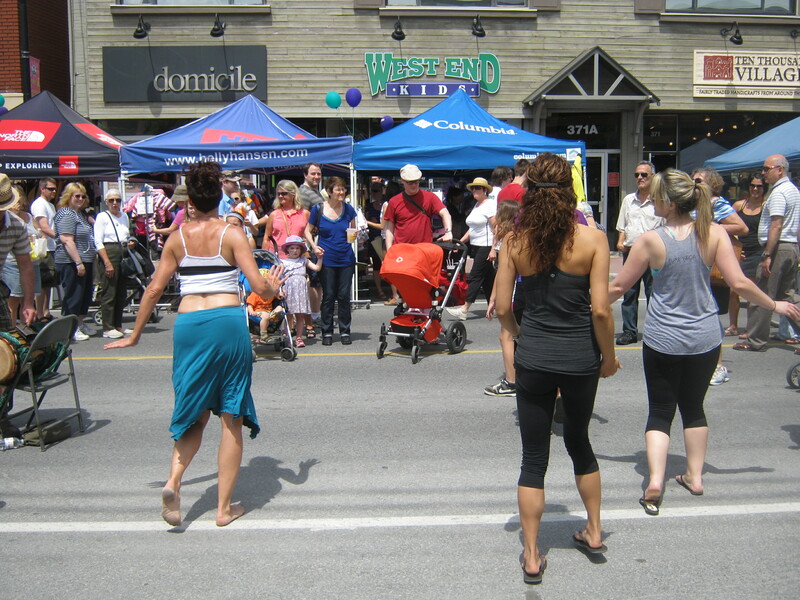 There was a festival going on in a part of the city called Westboro. I actually live across the river, but if I lived on the other side, it would be in Westboro. It’s got my favourite yoga studio, lots of great stores and boutiques, coffee shops, even a beach. When I walk around after a hot yoga class with my red face and yoga hair, nobody looks at me funny. It’s part of the norm over there. One of my favourite teachers, Ichih, was teaching a class for lululemon at 10:30. After I finally got myself out the door, I had to drive there and find a parking spot, so when I got to the store, the class had just started. It was in the street, which was a new one for me, and there were mats layed out, which was good because in my rush I left mine in the car! It was a great class. It was different being the one practicing while everyone else was walking around and looking on. 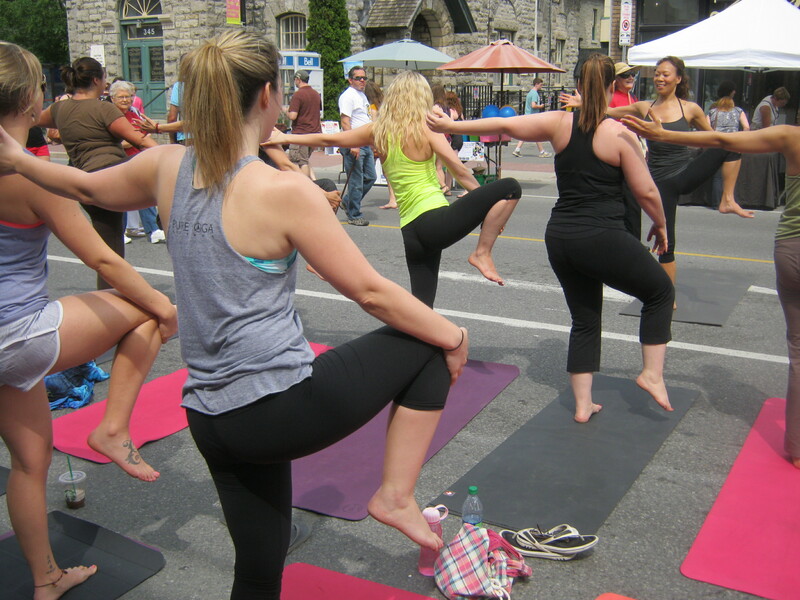 Yoga is not really a spectator sport, but it was fun to see people’s reactions. Kids and dogs were the most interested in us. About halfway into the class, the restaurant across the street had an Elvis impersonator start singing. That was another first. Yoga with the King. Ichih said something about hound dog, and at that moment, a dog started howling! Priceless! Sadly, I don’t have a picture of said dog. Or Elvis. 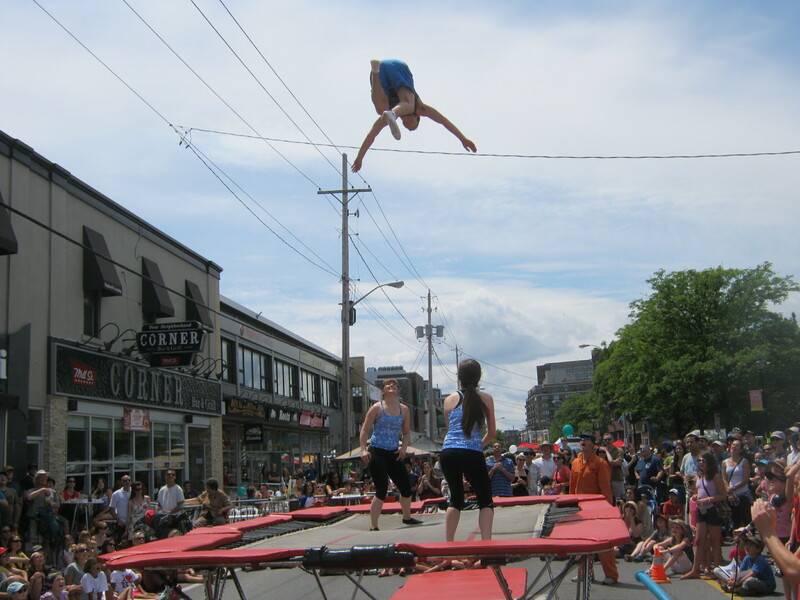 After class, Ichih and I walked around to see what Westfest had to offer. There was a lot going on. We stopped at an outdoor-type store so I could try on some vibrams. After some struggling with my crooked toes, I got my feet in! It felt a little strange, but I think I could get used to it. I didn’t buy a pair right away, I want to research it a little more. While we were in the store, Ichih got a text from a friend saying her friends were playing drums and dancing and we should check it out. We could actually hear the drums from inside the store! We went out and watched the show. 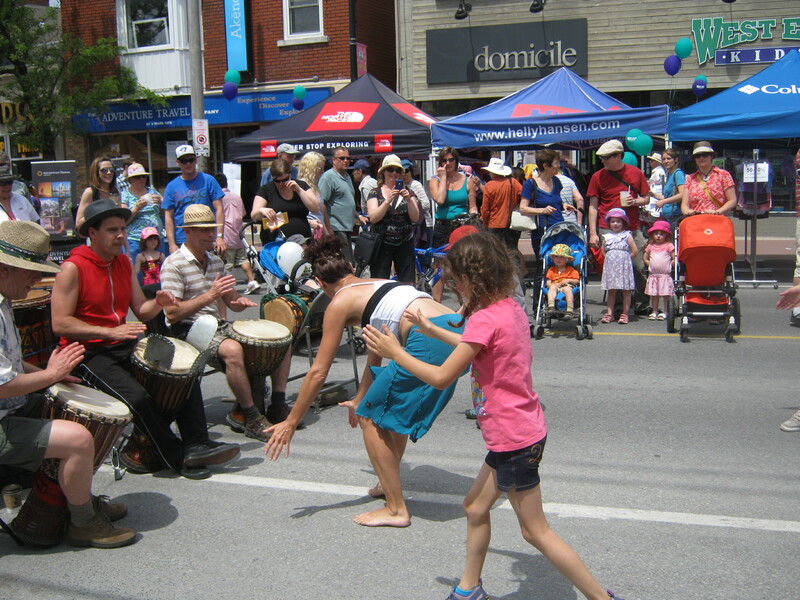 The girl dancing had incredible energy and she was teaching some kids African dance moves. However, the kids left and she looked around for some new students. We were right next to her, so she pulled us in. I have rarely felt as uncoordinated as I did trying to learn those moves! It was a lot of fun. It’s something I’ve always wanted to try so I’m happy I did, even if I felt like a duck trying to figure skate. 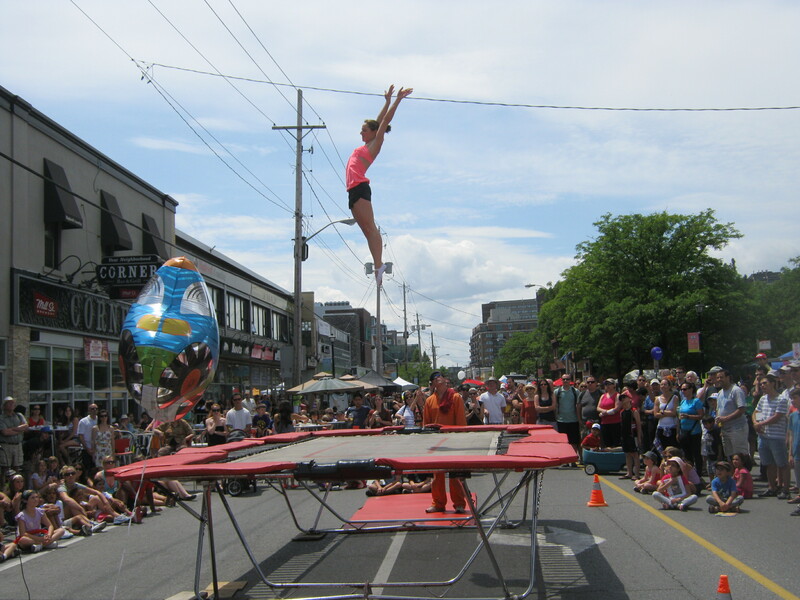 After the dancing, we got to see some amazing athletes perform on a trampoline. It was incredible. Some of these girls have even been to the olympics. It was wonderful to watch them in action. 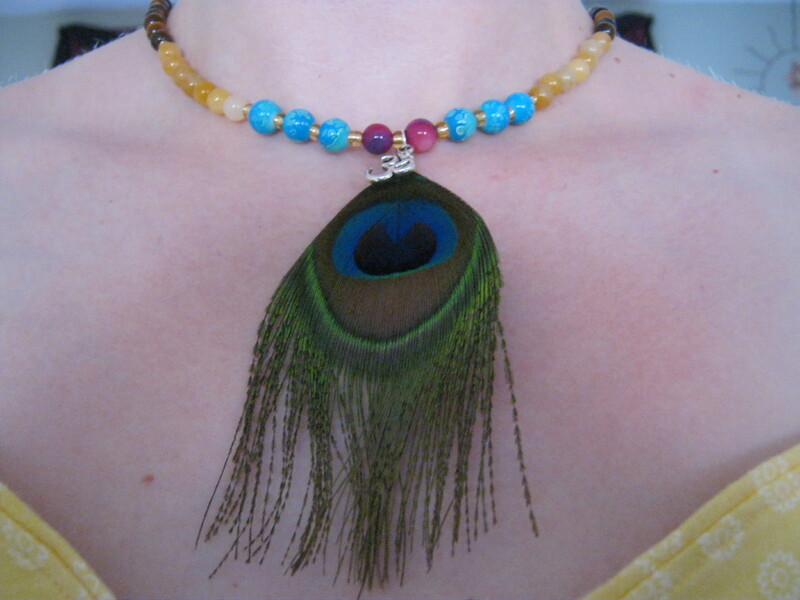 I also bought a really pretty necklace that Megan, my yoga teacher, made to help support the Global Seva challenge. The peacock feather is my favourite part. When I woke up, I wasn’t even sure I wanted to go to Westfest at all. I’m so glad I went! That’s usually the way it is. When you’re not sure if you should go somewhere, go! You’ll have the best time! I got to do yoga, try something new, hang out with great people, meet some new people. It was really a fantastic Saturday! Last night, I got to shake my groove thing and sing my heart out to the music of Madonna. Where was I, you ask? At a yoga class of course! 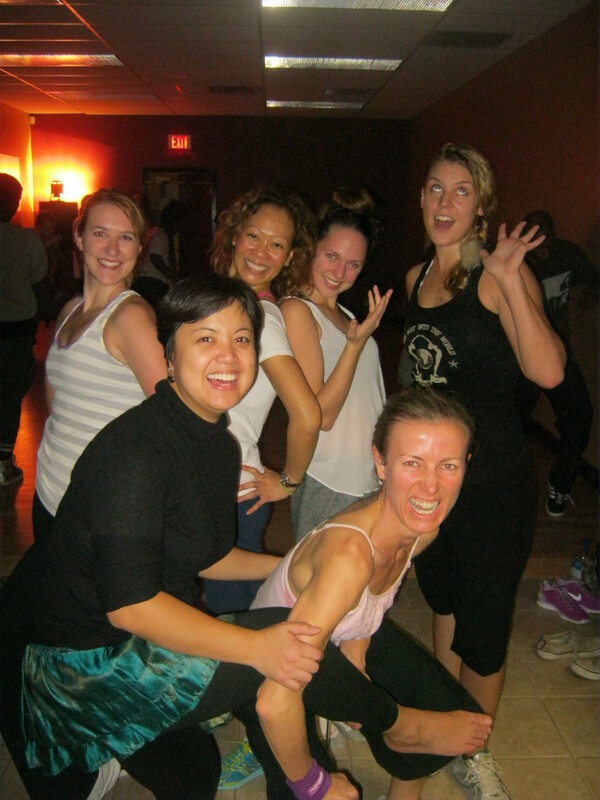 Every few months, my favourite teacher Natalie has this amazing event called a Madonna Flow Party! Last time, my friend Julie and I dressed up, 80’s style. This time, I just went with crimped hair and a bow. (And my regular yoga clothes, obviously. I wasn’t naked or anything.) My friend Steph came too and she wore a bow as well. This is Natalie and I. She’s so cool. Working the pink lace gloves. With Steph and Julie working our bows and gloves. Then, after all the picture taking and the warm-up dancing (I started dancing as soon as I walked in: dancing while I layed out my mat, dancing while I put my money in the donation bag, dancing while getting a block, dancing while filling up my water bottle. You get the picture.) the actual yoga started. It’s an ashtanga based class. The only ashtanga I’ve ever done is to Madonna music, so to me, it’s like a party every time! This is easier to do when you’re singing Lucky Star. No matter how tired I am, or how lousy a day or a week I’ve had, this class is an instant mood-booster. It’s the cupcake of yoga classes. How can you not smile while singing Like a virgin? This is Natalie and I’s sweaty after picture. Smiling even more than in the before picture, I think! The event is always to raise money for a charity and this time it was for the Global Seva Challenge. 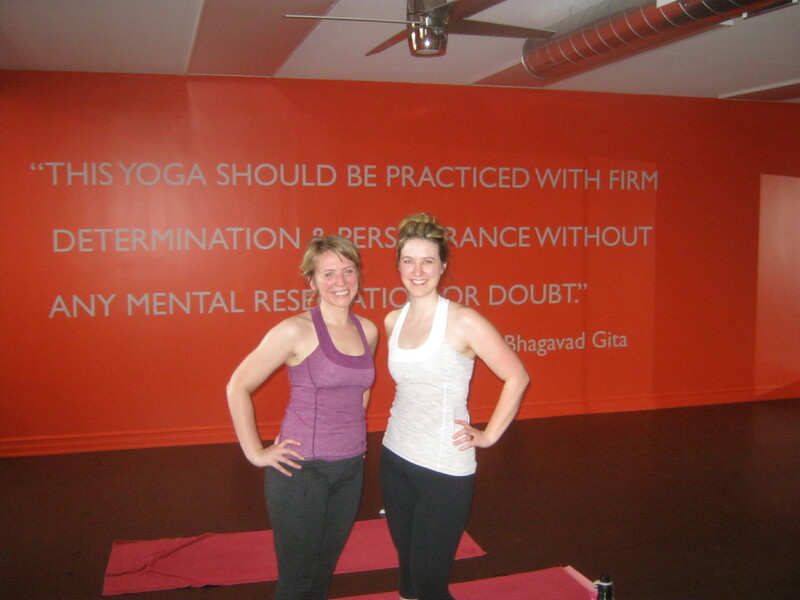 Megan, a yoga teacher at my second home, Pure yoga, is an ambassador for the charity. 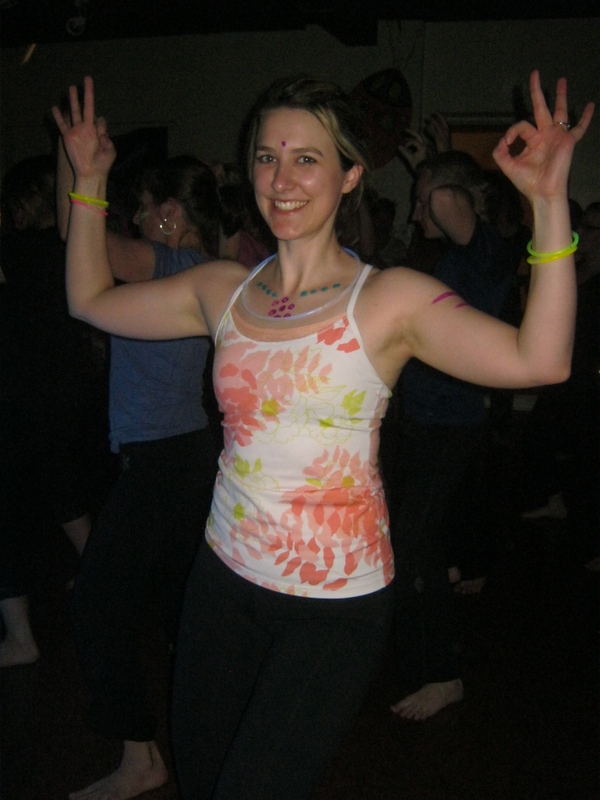 The 108 sun salutations I did last week was to raise money for the same charity. 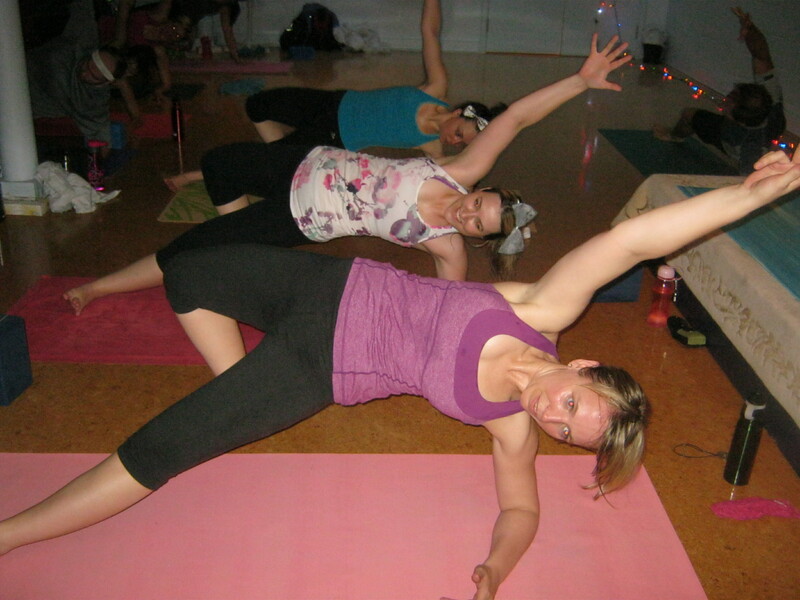 After all the dancing and the singing and of course, the yoga, we slowed it down with a forward fold before savasana. During the forward fold, Natalie said something thst really stuck with me “Go within so you don’t have to go without.” I was thinking about this during savasana when I heard Natalie and her husband Mike, our dj, getting ready to say something. I thought they were going to chant. They did. It was “Soft kitty, warm kitty, little ball of fur.” I laughed so hard I thought I might pass out. It really was the perfect Friday night! 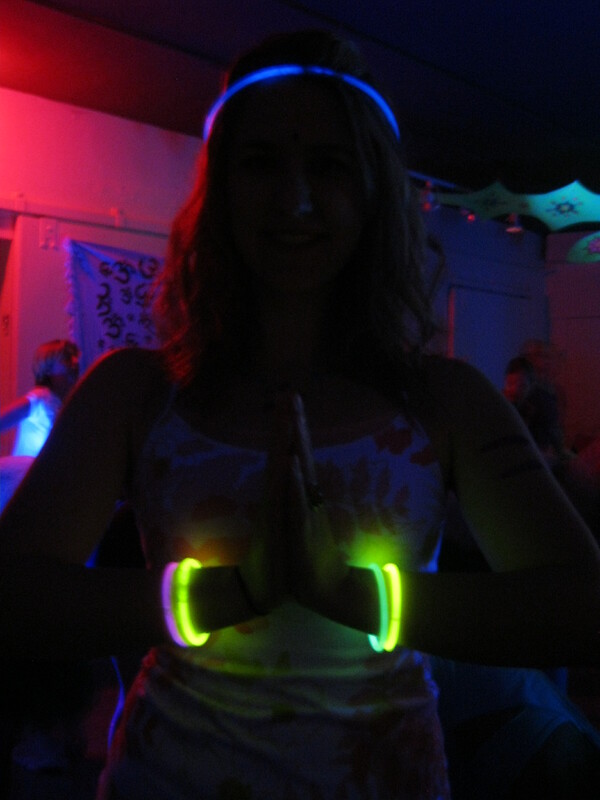 Friday night, I went to a yoga rave. 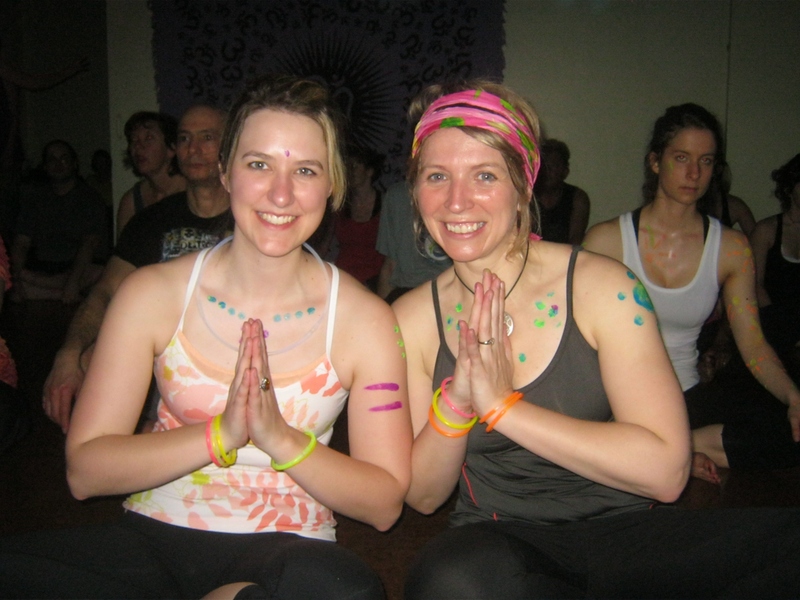 What is a yoga rave, you ask? Good question. I asked myself the same thing. I have never been to a regular rave, as I was very quiet and did not go out much when I was a student. Ha! Who I am kidding! I went out all the time, just never to a rave, so I wasn’t sure what to expect. It was at a new studio, and when we got there, everyone else seemed to know where to go and what to do. It was a little strange, but we figured, since we were here, we might as well give it a shot. After all, we bought glowsticks for this. 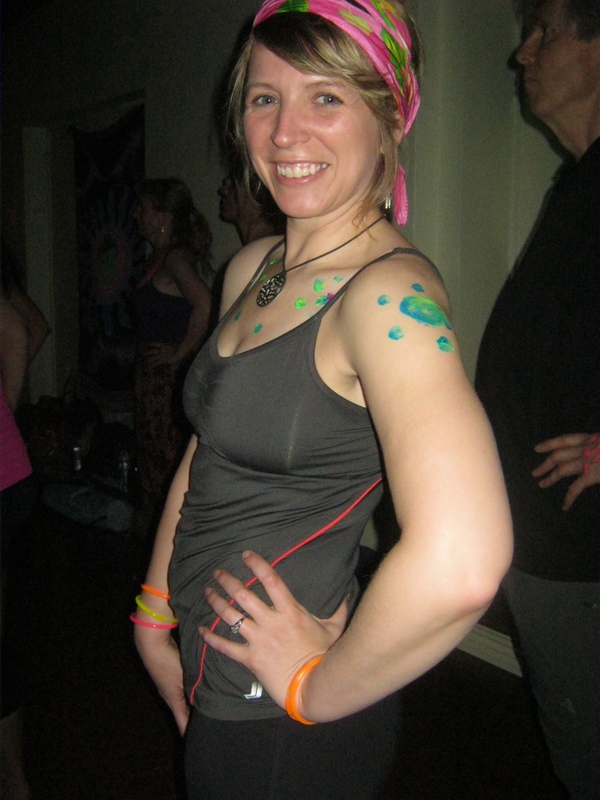 We painted designs on ourselves with glow-in-the-dark paint, which was fun. We made jewlery out of our glowsticks, also fun. We went into the rave area, which was decorated with glow-in-the-dark flowers and butterflies and blacklights. It was pretty cool, but there were a lot of people in there. 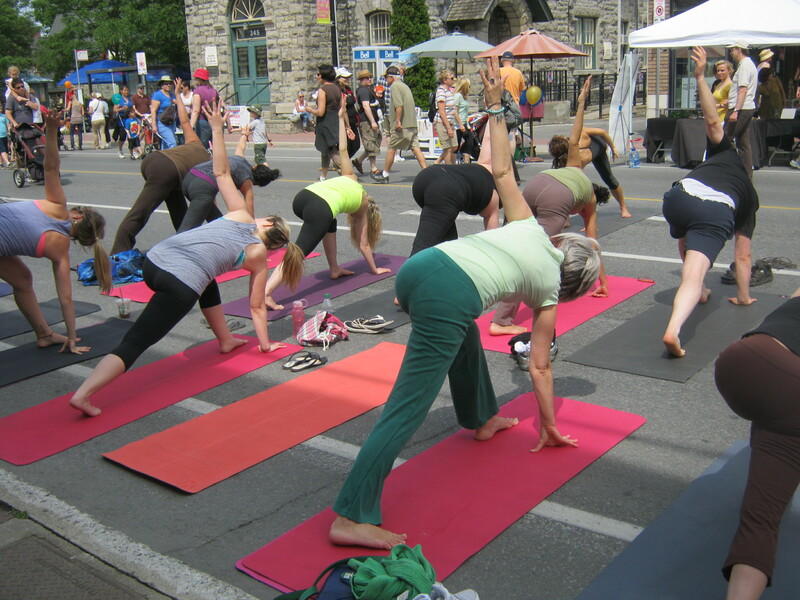 We started off with some yoga, but it was so crowded, I did not enjoy it much. 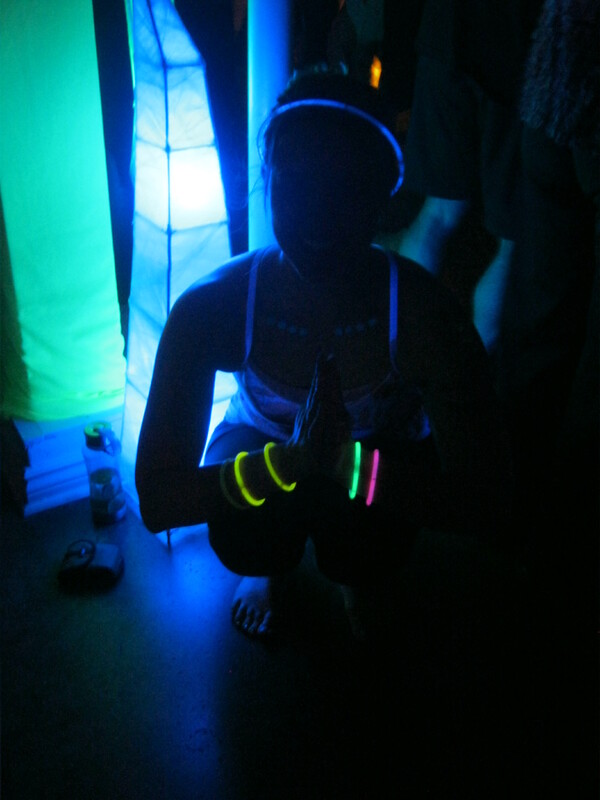 Also, it was hard to hear the teacher and I couldn’t see her, so I spent a lot of time in tree pose, trying to look chilled out and enlightened, which was my mental image of how you feel at a yoga rave. 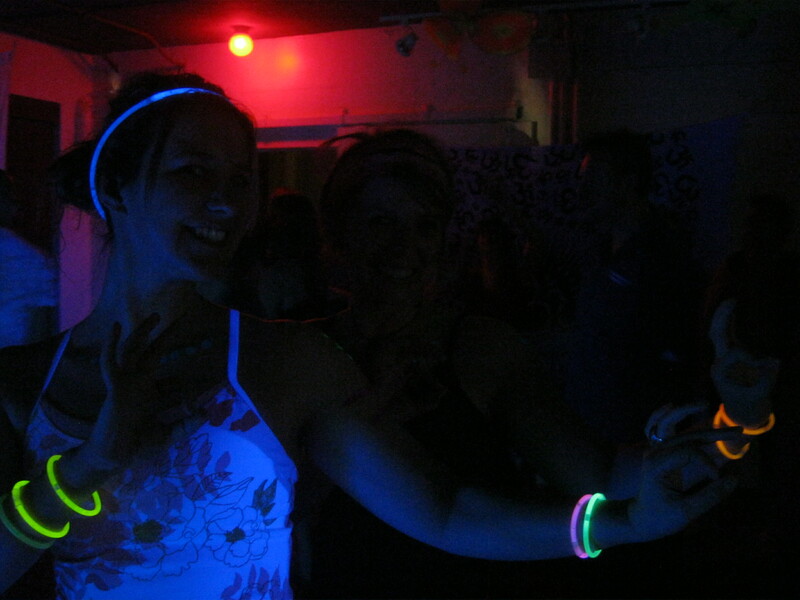 After about 20 minutes, the yoga part of the yoga rave was over and we moved on to bhangra dancing. Bhangra is a dance that is part of Bollywood dancing, so I was excited. 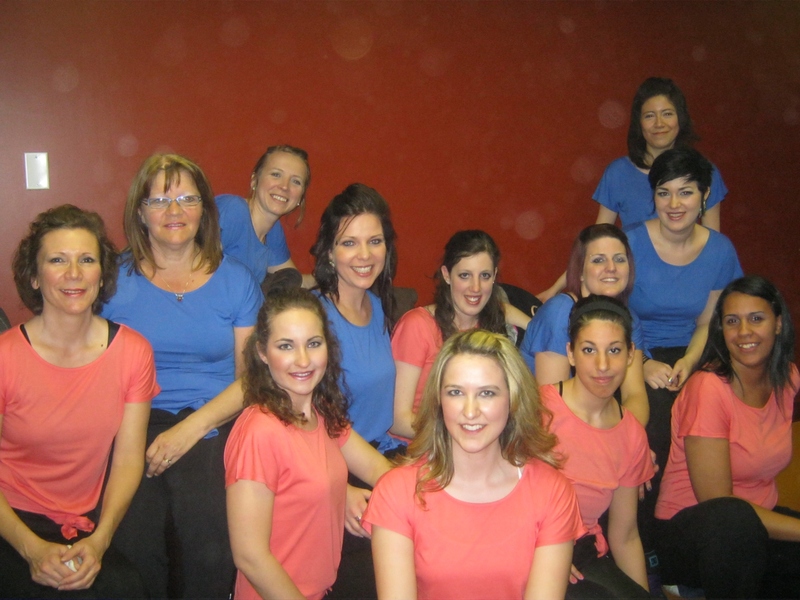 I have taken Bollywood dance lessons in the past and I really enjoyed it. 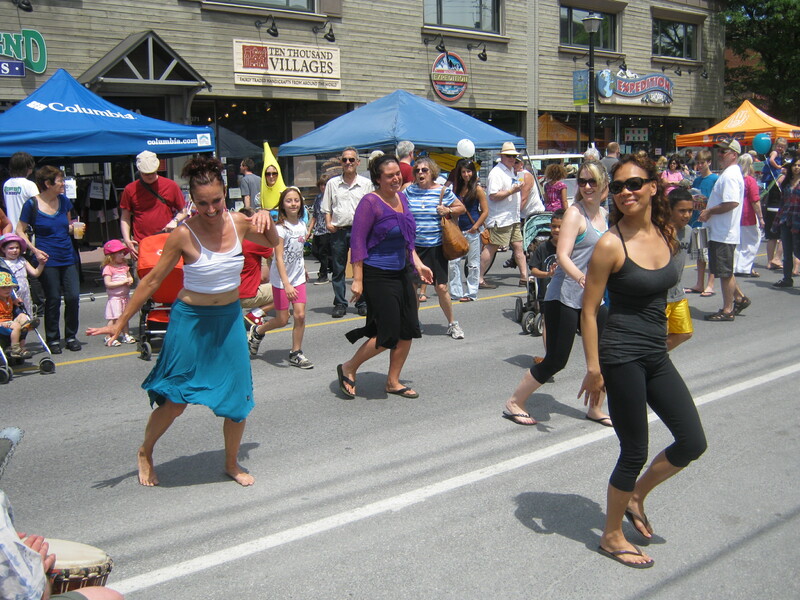 It was hard to follow all the moves, but some people decided bhangra was no fun, so we had a lot more room to move. We were pretty good, I think. 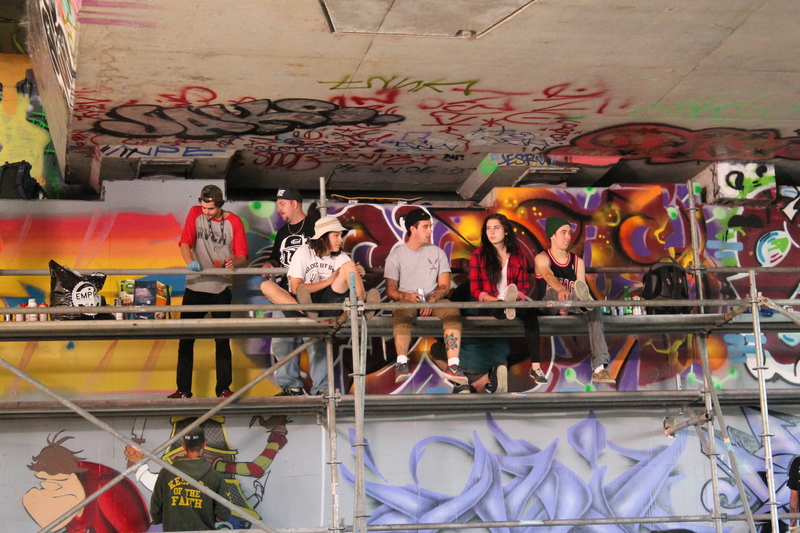 It’s hard to see Julie in this picture, because she was wearing dark colours, but she’s there! After the dance lesson, we did some chanting. I’m not a huge fan of chanting, but I was there, so I figured I would give it a try. This was pretty much my view on the whole thing “I’m here, might as well give it a shot.” We had to chant something that sounded like “har”, slap the floor, then clap our hands. This was ok for about a minute. After that, my hands were numb. The whole thing, which I learned is called a kirtan, lasted for 8 minutes. I did one minute of chanting and seven minutes of people watching. Then came the meditation. Again, not my usual thing. 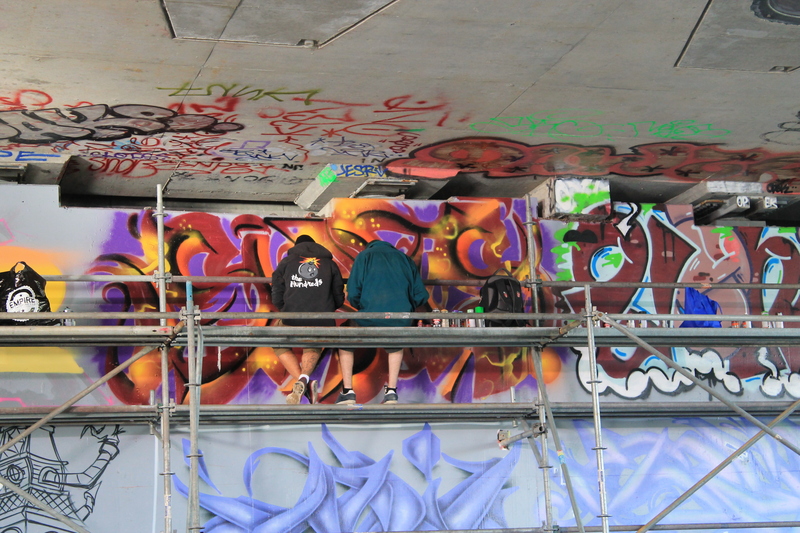 Again, one minute of trying and then people watching for the rest of it. After all of that, it was just like a big party. It was a lot of fun. How cool is it to bust out a dancer pose or a crow on the dance floor? Some people seemed to take themselves very seriously, but we just had fun acting silly. We even got smudged. Smudging is a Native American custom that consists of burning sage and waving it onto people to clense their aura, or their soul, or their bad day, or something. It also keeps the bad spirits away. It was nice, I’ll take all the positive energy I can get. I’m not sure if I did the whole rave thing right, but it turned out to be a pretty fun time. Lazy Sunday? I think not! Sometimes I wonder what I did with my time before I started this 30 days of yoga challenge. Today is day 15, so I’m halfway there (yay me!). It’s been two weeks, but I feel like I’ve always done this. Take yesterday, for example. It was Sunday. I’ve been know to sleep in on Sundays. I’ll say I’m going to the gym, but I’ll end up staying home in my pyjamas. Then, I’ll get dressed and run out to the grocery store to get some food before everything closes. What I did with myself all day, I can’t remember. Yesterday morning started off with a great yin class with Edith at Pure. Well, it was great until she mentioned dragon pose. Really. Of all the poses, in all the world, she had to pick that one! (Yes, that’s a kind-of Casablanca reference!) My intention for this class was to come out happy, so I decided to just sit it out. As soon as I decided to do that, I felt wonderful. I think, if I were a superhero, dragon pose would be my kryptonite. 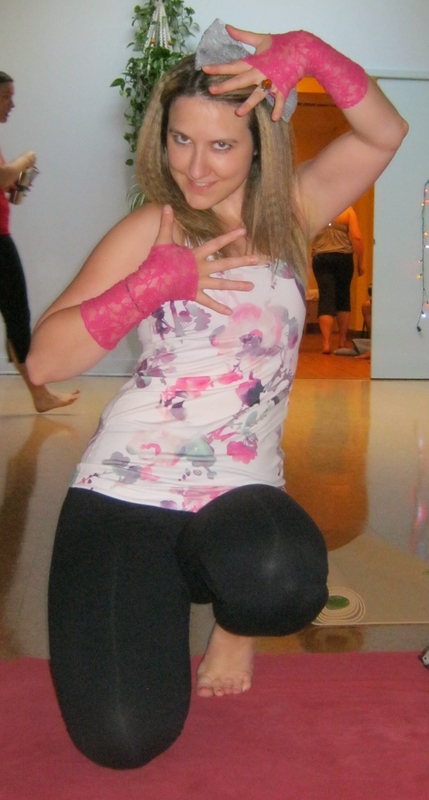 After yoga, I danced in a show with my hip hop class. I didn’t sign up for dance class thinking there would be a recital. Even the word makes me feel like I’m six years old! However, it was fun to get all done up and dance in front of an adoring public. Well, they might not have been my adoring public, since I didn’t invite anyone to come, but they still clapped. I think my favorite part of the show was when we were all waiting backstage for our turn to go on. The girls before us were dancing to “Party rock anthem” and you just have to dance when you hear that song! We had a little dance session right there before our number. It was good, because so many people were stressed out, and this seemed to get everyone to relax. It’s supposed to be fun, I don’t get why people panic. All in all, it was a great day. I was busy, but I was doing things I love. Today is day 4 of my 30 day yoga challenge. It’s also Thursday, which means it’s hip hop day. Julie and I have been taking dances classes together since January. We decided to go to the 4 o’clock yoga class, then hip hop at 6. This presentend a challenge because I work untill 3:30. I’m a teacher, so it’s not like I can tell the kids “I’m heading out early today, see you tomorrow!” I decided to get them ready to leave 5 minutes earlier than usual, so I could leave as soon as possible. But when we got outside, the parents, who apparently had not received the memo about my bright idea (which I thought up 10 minutes earlier), arrived at the same time they normally do. When I got to the yoga studio, I was out of breath and worried I would be too late for class. I was greeted with a relaxed atmosphere, a smile and a “Go ahead in, you’re fine”. I learned something today: Chill out. It’s yoga. 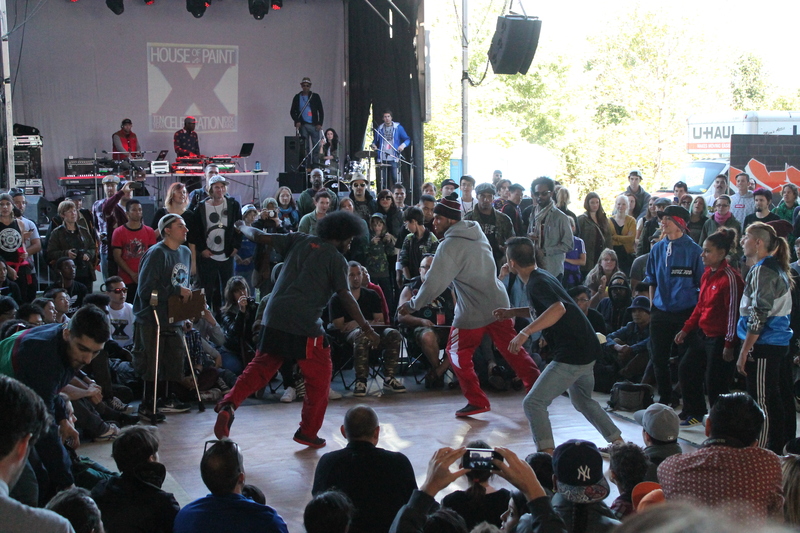 When I got to hip hop, I considered passing on what I had learned to my dance teacher. She’s pretty stressed out. And she stresses me out with her stress. Yoga today was a hot flow class at Pure. My teacher was Edith. She was great and she didn’t stress me out at all! She made us do things I haven’t done often, like seated pigeon. Much better than regular old pigeon. But the thing is, I can’t say “I nailed it!” because that’s not very yogic-minded. I can say I’m good at hip-hop. I’m not a superstar, but I can pick up choreography and follow the beat. I like being able to toot my own horn! At the end of my yoga class, I was happy with myself. I didn’t feel so good today at lunch, so I didn’t eat much. I only realized I was hungry during my first downward dog. It’s not easy concentrating on eagle pose when you’re thinking about peanut butter sandwiches and cupcakes (Not what I normally eat, just what I was thinking of) but I did it! See how Julie and I are not touching each other? That’s because we were all gross and sweaty. 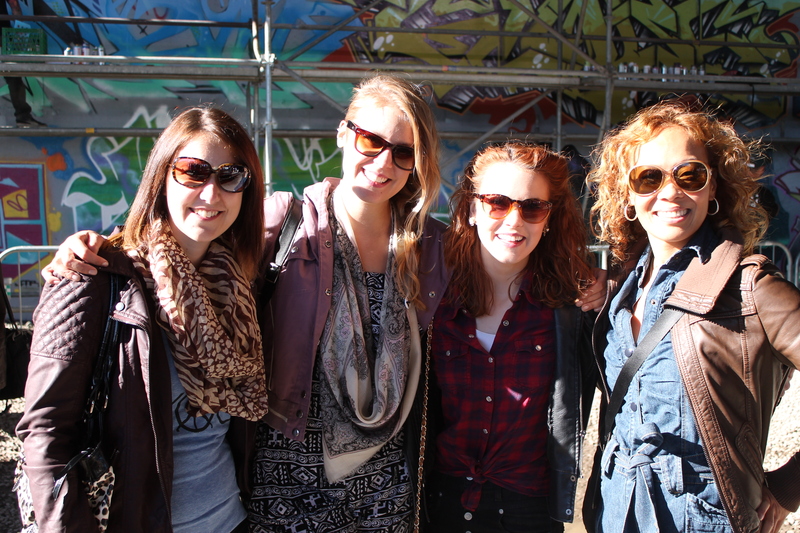 But we were also pretty proud of ourselves for having completed the first part of our crazy Thursday schedule! Hip hop is not something I had done before, and apparently, I’m “too cute”. You really have to bring out your aggressive side. I usually can’t find mine. Also, I wear pink and smile a lot. This is our tough look. Intimidated, aren’t you? 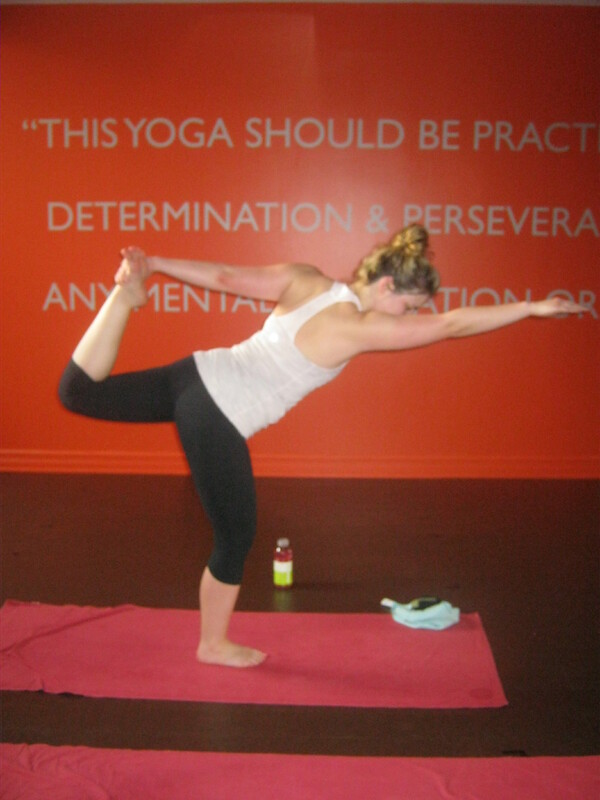 One of my favorite yoga poses is dancer, and it’s definitely because of the name! Today was a good day. Can’t wait to see what happens tomorrow.